49 Commercial Real Estate & Properties in West Gosford are listed in 4 categories. We have 32 Industrial Warehouses Lease , 15 OfficesLease , 1 ShowroomsLease and 1 Development LandsLease . 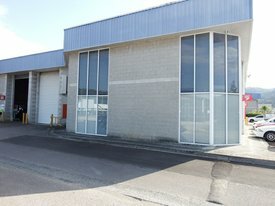 Great location with Main Road signage opportunities Approx 240m2 of high clearance warehouse including ground floor reception area plus Mezzanine office Amenities include shower, toilet and kitchenette Other features include high roller door and 3 phase power Asking $2,650 Gross Per Month Includes GST (and outgoings) Arrange your inspection today! Total net lettable area 492m2 approximately. The unit offers a reception/entry and administration space that is carpeted and air conditioned with a n additional partitioned office area. Kitchen and amenities with disabled access and additional storage space. The mezzanine is a large open plan heavy duty mezzanine with the ability to forklift goods up and down easily. The warehouse offers high internal clearance with a high and wide electric roller shutter, high bay lighting and insulation throughout. The unit is alarmed with great truck access, plenty of onsite parking and street parking, secure estate with multiple entry points and electric gates. Available for lease for $45,500 per annum gross + GST. Take advantage of this leasing opportunity! Spacious 189.9 sqm (approx) warehouse surrounded by quality businesses Includes small office, 3 phase power and high roller door access. Would suit a variety of uses Great value for money at $18,500.00 per annum + GST ( includes outgoings) Call Mark to arrange your inspection! Factory Premises available 1/5/2018 FOR LEASE! Located in the heart of West Gosford Industrial Estate has own amenties. Manns Rd Access with on site parking. Zoned IN1 Approx 326.3m2 No outgoings. 4,000m2 total area zoned IN1 Industrial. Site is level and regular shaped with elevated position. Security fenced and gated. Nice and wide driveway with a rotormill / road base surface. Facilities include power, water, sewer, stormwater pits and tank. Available for base $75,000 per annum + outgoings + GST. Current cost of outgoings is $6,997.00. This is a great little storage unit perfect for a small business. Approx 34m2 on ground floor plus mezzanine floor approx. 30m2 Zoned IN1 – General Industrial Positioned in a secure gated complex with 24 hour CCTV & amenities on site. 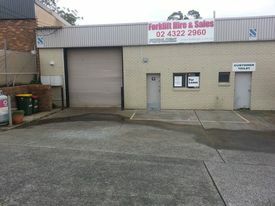 West Gosford - Warehouse $19,000 pa + Outgoings + .. 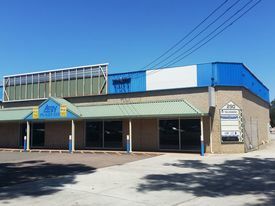 Tidy warehouse positioned in West Gosford, approx 190m2 (includes 35m2 Mezzanine area) High clearance from 6.5m – 7m ceiling height plus high and wide roller door. Easy, level access and a corner position in West Gosford’s Industrial Park. Available early October 2018. For Lease $19,000 per annum + Outgoings + GST. 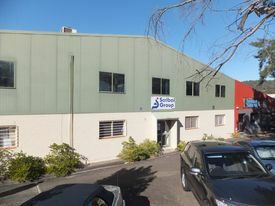 Well positioned warehouse of 1,500sqm in the heart of West Gosford. Located close to Hungry Jack&apos;s, Red Rooster and The Settlers Tavern Land area 2,290sqm site, offering great driveway access and ample onsite parking. Access via roller shutter doors on the front and side of the building, with additional yard. Diverse opportunity that could suit a wide range of uses, subject to Council approval. 383 m2 of first floor, carpeted, air conditioned office with some partitioning but predominately open plan space & new paint. Perfect for small / medium business looking for quality space located outside the central business district and offered at a budget price. Excellent Main Road Location $228,140N/pa + Outgoings .. Very nice warehouse in West Gosford in one of the finest gated and secure complexes. Reception + amenities including 2 bathrooms and kitchen area. Disabled access and amenities. Ground floor area for showroom, admin or processing and packaging room (approx. 135m2). High clearance warehouse with roller door and level access (approx. 135m2) Upstairs office (approx. 60m2) which can also be used as storage with an access door from the warehouse for forklifting product. 2 allocated car spaces plus exclusive use in front of the roller door. Other features include Ducted air conditioning upstairs, 3 split systems downstairs and alarm system. Positioned in the heart of West Gosford&apos;s Industrial estate with great vehicle access in a well maintained complex. Consisting of approx. 77m2 of excellent quality fitout office with complete furniture inclusions and communications, this brilliant commercial space has a lift & stairs providing full disabled access. Parking is at the front door and these A Grade office areas have seperate glass front office cubicles and open areas to suit any configuration of staff. All suites have shared quality amenities external to the tenancy area! Located ideally close to GOSFORD CBD, the Sydney Newcastle M1 Motorway, and within moments of excellent shopping & industrial facilities. Also available with PRIVATE balcony by negotiation (approx. 61m2). Consisting of approx. 157m2 of excellent quality fitout office with complete furniture inclusions and communications, this brilliant commercial space has a lift & stairs providing full disabled access. Parking is at the front door and these A Grade office areas have seperate glass front office cubicles and open areas to suit any configuration of staff. All suites have shared quality amenities external to the tenancy area! Located ideally close to GOSFORD CBD, the Sydney Newcastle M1 Motorway, and within moments of excellent shopping & industrial facilities. Also available with PRIVATE balcony by negotiation (approx. 61m2). Consisting of approx. 124m2 of excellent quality fitout office with complete furniture inclusions and communications, this brilliant commercial space has a lift & stairs providing full disabled access. Parking is at the front door and these A Grade office areas have seperate glass front office cubicles and open areas to suit any configuration of staff. All suites have shared quality amenities external to the tenancy area! Located ideally close to GOSFORD CBD, the Sydney Newcastle M1 Motorway, and within moments of excellent shopping & industrial facilities. Also available with PRIVATE balcony by negotiation (approx. 61m2). Consisting of approx. 370m2 of excellent quality fitout office with complete furniture inclusions and communications, this brilliant commercial space has a lift & stairs providing full disabled access. Parking is at the front door and these A Grade office areas have seperate glass front office cubicles and open areas to suit any configuration of staff. All suites have shared quality amenities external to the tenancy area! Located ideally close to GOSFORD CBD, the Sydney Newcastle M1 Motorway, and within moments of excellent shopping & industrial facilities. Also available with PRIVATE balcony by negotiation (approx. 61m2). Adjoining units fitted out with Harlequin sprung floors and vinyl matting, full length mirrors and Harlequin double ballet bars. Reception area and waiting room in Unit 1 along with shower and toilet. Unit 2 has a kitchen plus shower and toilet. Additional disabled bathroom at the rear of complex. 2 large roller doors for rear access and cross flow ventilation. Concreted area at the rear which could be utilised as a parents sitting area. 8 allocated car parking spaces. $32,000 per annum + outgoings + GST. Approx 200m2 factory bay including reception/office area approx 22m2. Male/Female toilets & shower. 3 phase power Parking at front door Fully fenced secure premises. 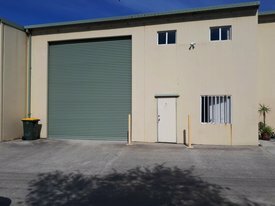 Set up business in this high clearance warehouse, approx 132m2. Rear access with high and wide roller door. Glass shop front which is great for display of goods if needed. Includes bathroom and kitchenette. Good exposure for your business and plenty of parking on site. Call Karen Aubrey to inspect on 0411358856. Regular in shape open plan industrial unit. Total area approximately 155 sqm. W/C. Common area parking for customers. Available 1st June. 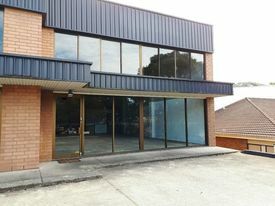 643sqm Bulky Goods Showroom In Prime West Gosford Location Contact Agent! 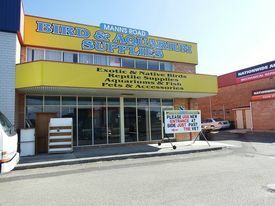 643sqm showroom in complex on the corner of Manns Road and Stockyard Place. Huge glazed frontage with parking at the front door. Rear access via two (2) automatic roller shutter doors to warehouse area. High internal clearance up to 8 metres. Combination of natural light and hi bay lighting. Includes small office area with kitchenette and amenities. 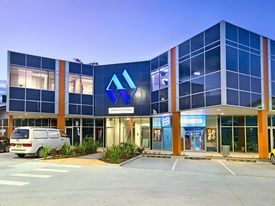 Positioned in the busy West Gosford hub, opposite the Gosford Classic Car Museum and Prime West Hometown with the Riverside Business Park and Riverside Homemaker Centre nearby. Call today to arrange an inspection. 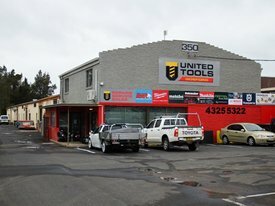 290sqm Industrial Unit - Manns Road Location $31,900 Per Annum Gross +..
Well positioned and well presented industrial unit in the popular West Gosford industrial precinct. The unit is 290sqm (approx.) and offers good natural light, roller door access, internal amenities and on site parking. The unit offers internal clearance up to a maximum of 4.8m and the roller door access has clearance of 3.6m high x 3.67m wide. The floor area is clear span and primarily of regular shape, so should suit a wide range of applications / uses. Positioned near the front of the complex, offering easy access off Manns Road. Call today to arrange an inspection! Cracking Position In West Gosford $120,000 Per Annum Net + .. Highly exposed site with 65 meters of street frontage and exposure to Central Coast Highway, West Gosford. Perfect for vehicle sales, caravan sales, machinery sales, equipment hire or anyone needing a highly exposed secure display yard with workshop/warehouse, office and mezzanine storage. Total land area 3,150sqm approximately with the land offering a regular shape and the display yard finished in asphalt. The warehouse, workshop, office and mezzanine storage equate to 562sqm approximately and offers high clearance with multiple roller shutter access points. The site is security fenced with multiple driveways. Wonderful signage and advertising opportunities with exposure to the thousands of cars that pass daily with high profile neighbours including 7 Eleven, Holden, Hungry Jacks, Red Rooster and Jaguar to name a few. 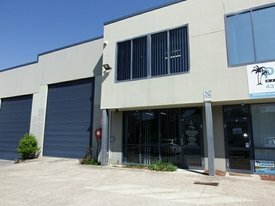 Manns Rd West Gosford Industrial Unit For Lease $33,000 Per Annum Gross +.. Positioned on the corner of Manns Road & Grieve Close, West Gosford with frontage to Grieve Close. Full brick construction. 181sqm including front office and also has a storage mezzanine above the office. Zoned IN1 Industrial with male and female amenities, shower and 3 phase power. $33,000.00 including outgoings plus GST. 900sqm Office Space In Key Location! $220,500 Per Annum Net + ..
900sqm of space available in a first class position. Options available for space from 250sqm up to 900sqm, split over the ground floor and the first floor. Ideally suited for office or showroom users. Key location at the West Gosford Gateway Intersection. High profile position with great exposure to busy highway. Direct access from the Central Coast Highway. Securely fenced and gated property with secure underground parking. Full internal amenities provided, including common disabled bathroom. Lift access available from basement parking to upper levels. Surrounded by high profile users including Bunnings, Masters Home Improvements, Repco, Anaconda, Officeworks and Domayne, to name a few. Only 5km (approx.) to the M1 Kariong/Somersby Interchange, which connects to Sydney and Newcastle.